The New England Patriots’ defence hasn’t been great this year. They came into Week 9 ranked 22nd in defensive DVOA. They have been below average against the pass (20th) and even worse against the run (28th). But they were fantastic in Sunday’s 43-21 win blowout over the Denver Broncos. Playing without their best pass rusher (Chandler Jones) and linebacker (Jerod Mayo, who’s out for the year), the Patriots held Peyton Manning to season lows in completion percentage and QB rate and forced two interceptions. Denver only gained 43 rushing yards on 17 attempts. It was a rough performance for an offence that destroyed everyone in October. The Patriots’ defence is still very much a work in progress, but it’s trending in the right direction. Considering the incredible number of players who didn’t meaningfully contribute to New England last year, it’s promising that the defence appears to be coming together. Bill Belichick has cobbled together an assortment of veterans, cheap trade pieces, and late-round draft picks and made a defence out of it. Akeem Ayers (played 77 of 82 snaps) — Traded to New England from Tennessee for a sixth-round pick before Week 8. Dominique Easley (played 32 of 82 snaps) — Drafted No. 29 overall in 2014. Darrelle Revis (played 81 of 82 snaps) — Signed with New England for $US12 million guaranteed after getting cut by Tampa Bay. Brandon Browner (played 81 of 82 snaps) — Signed with New England for $US1 million guaranteed. Missed the first four games of the year due to a substance-abuse suspension. Malcolm Butler (played 36 of 82 snaps) — Undrafted free agent in 2014. Patrick Chung (played 69 of 82 snaps) — Signed with New England for $US1.1 million non-guaranteed after leaving Philadelphia. Alan Branch, who was signed before Week 9 also played 12 snaps. 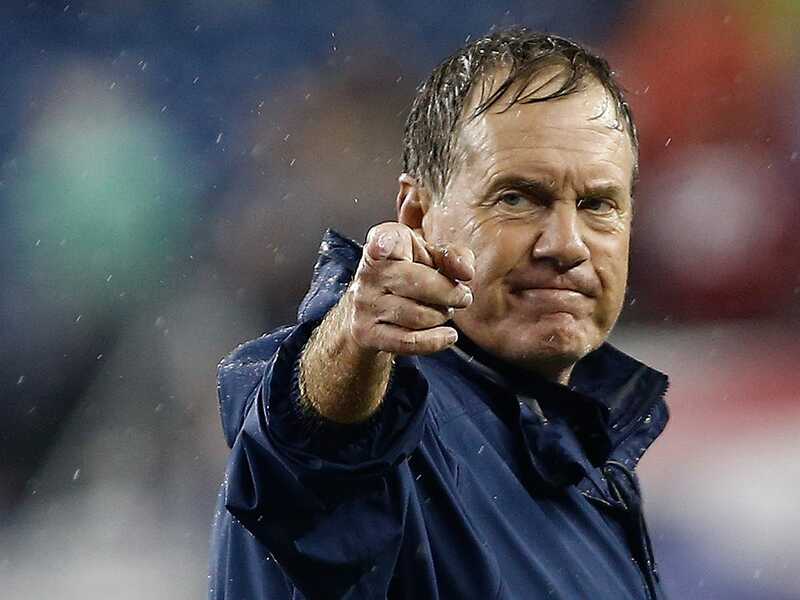 Belichick has made a career out of moves like these. It’s not like he signed a bunch of free agents who people thought were prized commodities. Even Revis was cut because the Bucs couldn’t find a trade partner. With the way Tom Brady is playing, the defence just has to be average for the Patriots to win.